Your Joomla website got hacked or is infected? Malware, Spyware, Virus or Mail Spammers are living inside your website? Don't panic, you can Scan, Fix, Clean and Secure your website without losing any data. 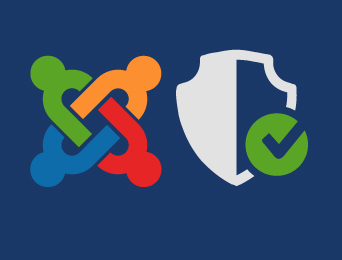 Read how the plugin Vik Secure can help you remove virus from your Joomla website. VikBooking v1.10: a feature-rich update and a jump in the future! The new year 2018 could not have started better! 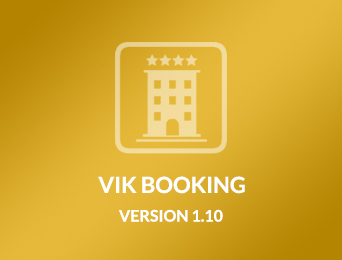 Vik Booking v1.10 is ready for download! This feature-rich update is the result of months of intense programming, and it introduces hundreds of incredible new features. Updating will be super easy for those who are using the Channel Manager (e4jConnect service), and for those who have recently purchased the software. However, those who never used the Channel Manager, and those who have an expired Support License, will no longer be able to download the update for free. 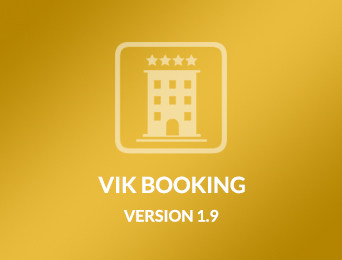 Vik Booking and Vik Channel Manager together make a complete software suite for any kind of accommodation. Thanks to all the suggestions and feature requests collected from our clients, we have built a Premier software suite for an open source CMS that could compete with the best software solutions of the world. In fact, e4jConnect is now a Premier Partner of channels like Booking.com. 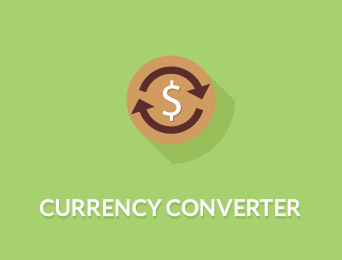 Some of you might have noticed that recently our Currency Conversion module for Vik Booking and Vik Rent Car has stopped working. This is because the services of Yahoo Finance and Fixer have been suddenly shut down one after another, by making their API no longer accessible. We have introduced (June 11th 2018) a new way for reading the exchange rates from the European Central Bank. To add this patch, you will need to manually force the component you are using to re-copy the core files. A new version of VikRentItems is now available for download! Like all our other extensions, this new version introduces two new ways to install Patches or Updates: through the Joomla Update Sites and through the new VikUpdater plugin. Get your installation ready to receive future updates with just a couple of clicks. VikRentItems v1.5 has been released! The long-waited update is now available with a lot of new features and improvements. However, as a consequence of these changes, Joomla 2.5 users will no longer be able to receive updates for VikRentItems. Support for Joomla versions older than v3.0.0 has been dropped and so, the last version available for Joomla 2.5 remains the v1.4. Future releases will always support only Joomla 3.0.0 or greater versions. Those that will be purchasing VikRentItems after August 2nd 2017, will already benefit of the new features but if you are using an older version and are willing to update, this article will be useful for upgrading. Some old versions of Vik Appointments, Vik Rent Car and Vik Rent Items used to have security issues on a few front-end files. This security flaw could lead to SQL Injection attacks. The flaws have been listed on the Internet but the vulnerability reports may be false, because related to older versions of the extensions. It is important to make sure to be using the latest version of the software to avoid any potentional risk of SQL Injection. A new version of the Joomla framework is now available: the 3.7 series! Joomla 3.7.0 was released on April 25th 2017 with many exciting new features and improvements to security and stability. 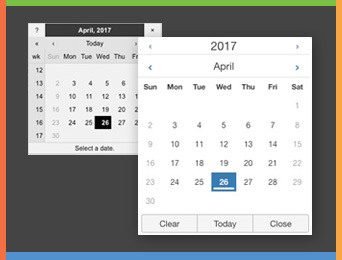 In this article we won't be digging into all the new features of Joomla 3.7.0 but we are rather going to focus on the new Datepicker calendar. Your Vik-component may not support this new Datepicker calendar and the installation of a patch may be required. The long-waited update for VikBooking is now available with tens of new exciting features! This version introduces two new ways to install Patches or Updates: through the Joomla Update Sites and through the new VikUpdater plugin. Find out more about installing this update. VikBooking v1.9 has come to life! Joomla 3.x users will be able to benefit of all the new features but unfortunately, Joomla 2.5 users won't be able to install this new update. In fact, support for older Joomla versions has been dropped. We have built a new update system for a faster distribution of patches, bug fixes and new releases. 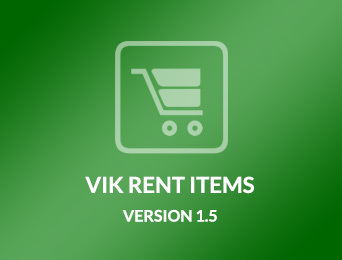 Upgrading to this new release is strongly recommended, especially for those that are waiting for the Mobile App connected to the complementary extension Vik Channel Manager. As always, the update is free for all those who have purchased a copy for a VikBooking and have registered their domains. A new version of VikRestaurants is now available with a new stunning framework and lots of new features! This version introduces two new ways to install Patches or Updates: through the Joomla Update Sites and through the new VikUpdater plugin. Find out more about installing this update. 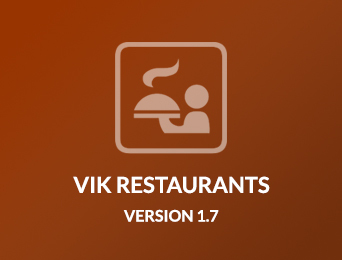 VikRestaurants v1.7 is now available! Beside completing the tasks of a rich change-log, we have built also a new update system for a faster distribution of patches, bug fixes and new releases. A new version of VikRentCar is now available with a new stunning framework and lots of new features! This version introduces two new ways to install Patches or Updates: through the Joomla Update Sites and through the new VikUpdater plugin. Find out more about installing this update. 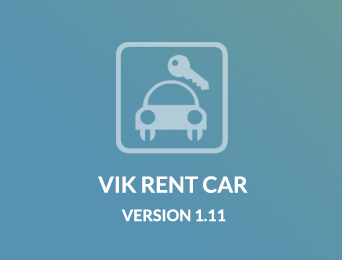 VikRentCar v1.11 is now available! Beside completing the tasks of a rich change-log, we have built also a new update system for a faster distribution of patches, bug fixes and new releases. However, as a consequence of these changes, Joomla 2.5 users will no longer be able to receive updates for VikRentCar. Support for Joomla versions older than v3.0.0 has been dropped and so, the last version available for Joomla 2.5 remains the v1.10. Future releases will always support only Joomla 3.0.0 or greater versions. Those that will be purchasing VikRentCar after January 25th 2017, will already benefit of the new features but if you are using an older version and are willing to update, this article will be useful for upgrading.